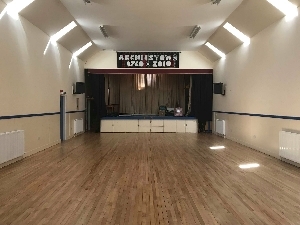 The Village Hall is a community asset and Archiestown Village Council encourage all in the local area – including charities and community groups – to use our great asset for charity fundraising, classes, fetes, weddings and all social events. Unique for the area Archiestown Village Hall has a bar licence should you want to host your own drinks – please contact the Council for more information. 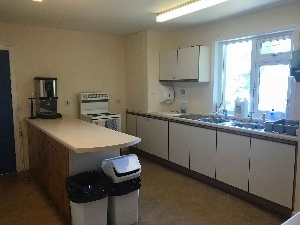 The hall is heated with our environmentally friendly biomass boiler, car parking is available in the square and there is adequate space to turn a coach or minibus. We ask the people refrain from parking on the grass when the ground is wet. It is the perfect venue for weddings, parties, functions and conferences and has plenty of space for dancing. 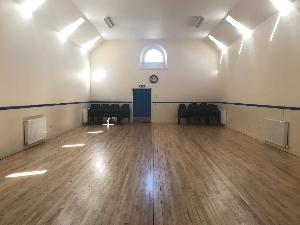 The Hall is equipped with a stage measuring approximately 25 square metres which would be ideal for musical and dramatic productions, where the committee room could be used as a backstage dressing room. 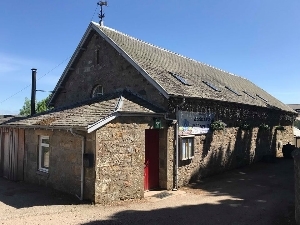 The Hall is also perfect for commercial sales, lectures, ceilidhs, conferences, jumble sales and fairs. 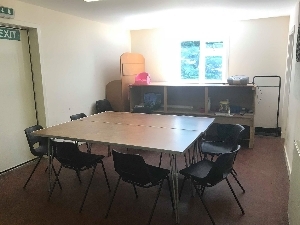 The Meeting Room can be set up for meetings or presentations for approximately 10 people and measures approximately 18 square metres. * Tea, coffee ,milk, sugar etc. are NOT included in the price. 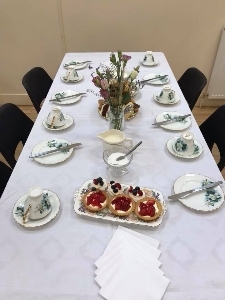 Preferential rates for local community groups & charities.